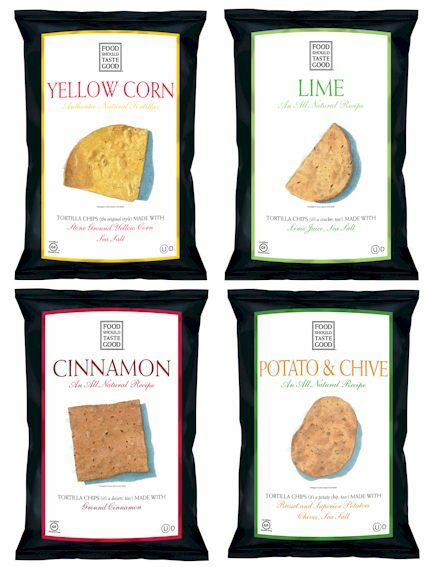 Giveaway: Gourmet Tortilla Chip Sampler Packages for Your Summer BBQ’s!! Healthy, gourmet, and all-natural are rarely terms we associate with the humble tortilla chip, but things are different at Food Should Taste Good. I had the chance to sample all of their completely delicious original flavors a while back … but, now they have four new flavors, and they want you to taste just how good they are! They will send a gift package to three of you (yes, that is 1 .. 2 .. 3 winners!) to include full-size bags of their four new tortilla chip flavors. Special Diet Note: These chips are gluten-free, dairy-free, soy-free, and vegan! Can’t beat that. To enter to win, leave a comment on this post. You can just say hi, you can tell me how much you love this blog (brownie points are tallied), you can tell me which chip flavor you are most excited about, and/or you can put in a special request for a chip flavor you would love to see Food Should Taste Good come up with next. To enter more than once, Tweet this giveaway via your twitter account, tell your friends on facebook, and/or link to this post from your blog. Be sure to leave a separate comment letting me know you did so! Two of last month’s winners were actually tweets, so every little bit helps! Comment entries will be open through Tuesday, June 16th, after which time the three winners will be announced. Good luck! Printable Coupon: Join the fan club on the Food Should Taste Good Website (under special offers-coupons), and they will email you a printable coupon for $1.00 off. I have already used mine. Recipe Contest: Once you have these crunchy snacks in hand, get creative and come up with a recipe. Submit your recipe on the contest page and if chosen for that month (one winner per month), you will receive a whole case of chips! Everything Looks and sounds AMAZING!!! I have a real sweet tooth but also love salty stuff. It would be great if you could make a sweet chocolate and salty chip flavor. They look so yummy! I would love to try all of these, thanks for the contest!! These just sound delicious…especially the Lime ones…Gotta try them! I can’t believe they have that many flavors! My kids would flip over cinnamon! These sound great! I’d love to try the Potato and Chive first. How good does all this look?! Pingback: One Frugal Foodie » Gourmet Tortilla Chips: Winners, Coupons, and a Recipe Contest!